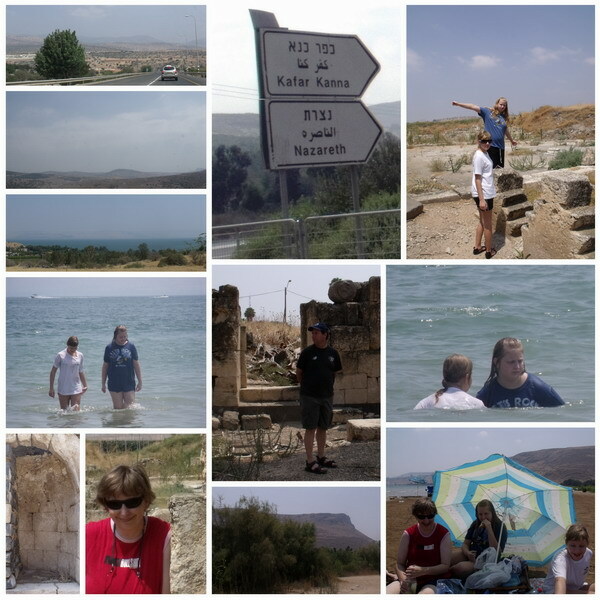 We went for a trip to the Kinneret, the lake of Gallilee. We visited a historical place close by the lake where there were no tourists. The churches and historical sites at Capernacum, the Mount of beautitudes (har ha-osher) etc were all very crowded with tourists, so we skipped them, as it was also very hot. We drove to the lake and had a swim, picknick on the beach and than drove to a moshav nereby to pick up Michal who was at her boyfriends place. My cellular phone jumped to the Jordanian network :) Back home by 16.00 hours.